The spokesman for Iran’s Foreign Ministry says the country is ready to settle disputes with Middle East governments on the negotiating table, in a goodwill gesture aimed at Saudi Arabia and its allies who have been at loggerheads with Tehran in recent years. Speaking to Fars News Agency in an interview published Tuesday, Bahram Qassemi said neighbours are the top priority in Iran’s foreign policy and the country has worked to develop amicable ties with governments in its surroundings. “But we face several countries among [neighbours] in southern areas that have problems and are under the influence of certain parties that try to weaken Iran,” he said. The senior diplomat said Iran has shown patience in the face of provocative moves and avoided falling into traps set be the country’s adversaries. “Iran is ready to solve differences with a few number of countries in the region behind the negotiating table and peacefully,” he said. “Iran is not eyeing soil of neighbouring countries and it is an independent country that develops its policies in Tehran,” Qassemi said. Fortunately, Qassemi said, Saudi officials have in recent months been more careful in their positions on the region and Iran. “We hope that Saudi Arabia’s new conditions would lead to serious interaction among regional countries, as we like to see all regional countries able to pursue their policies with full independence,” he said. Iran has worked hard in recent years to promote peace, stability and security in the region, which has been stricken by US wars. “It’s clear no country is able to move other countries or omit them from the region’s map and geography,” he said. 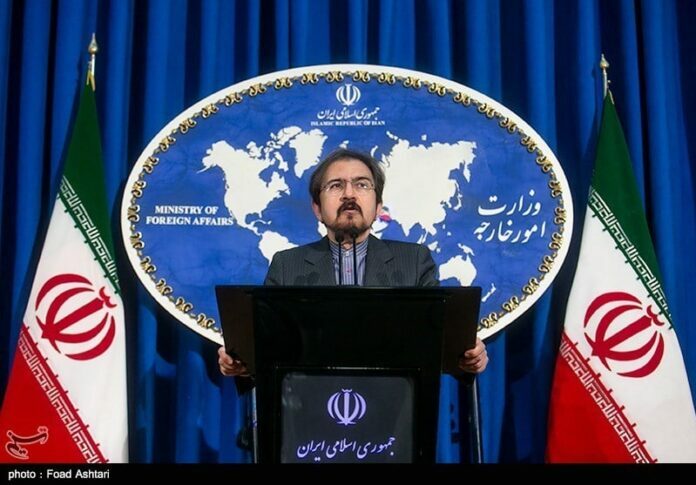 However, Qassemi said it is up to Saudi Arabia and other governments to take steps to improve relations with Tehran. “Iran is not to blame and it could take necessary measures whenever those countries make efforts to improve relations,” he said.